You are here:Home » Unlabelled » 2 Awesome Blogger Awards! Of late, I‘ve met some wonderful food bloggers who have generously extended their friendship to me & supported my blog even though I’m not exactly a food blogger. One of them is none other than, Alisha of Ardent Epicure. Thank you Alisha, for the lovely award! I’m glad to have met a fellow blogger like you & be part of your community. 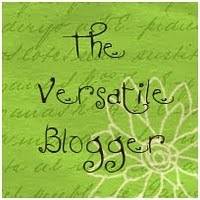 A while ago, I’ve also received an award - The Versatile Blogger Award. I was to bestow this honor onto 10 newly discovered blogs, which I’d only listed 8. Today, I’d like to add 2 more new bloggers, which I’ve found their blogs both informative & picturesque. Lazaro Cooks. Lazaro is one of the most serious & sincere bloggers I’ve met. His food is spoken of with a reverence reserved for works of art. Besides displaying his culinary arts in his blog, you can also find many guest posts from other fellow bloggers. More Than A Mount Full - A Culinary Journey. Dennis is a Chef! How cool! I’ve stumbled upon his blog when he casted a vote for Be The One To Win A Mysterious Prize! Thanks for the vote, Dennis! Without that, I wouldn’t have found your great blog! Hop on to these 2 palatable blogs now & get cooking! For those who haven't joined the contest, remember to vote here & you can also win yourself a mystery prize! Congrats on your award Shirley! Alisha is such a sweetie. I love her blog. Thank you kindly. I am so very glad I met you and look forward to getting to know you even better. You do a fantastic job here. SLH is def on my must read list for sure. I think you should get your black belt in blogging as well. 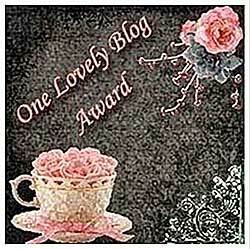 Congrats Shirley on your lovely awards :) Alisha is a wonderful blogger and foodie friend! Congratulations on recieving the awards, and thank you so much for thinking of me and passing them along. You honor me not only with the awards, but in whose company you place me in. Lazaro is such an incredilbe blogger that this makes the award extra special. I am so glad that I found your blog! Oh Shirley, you are always such a warm spot in my day...Your blog may not always be about food, but it is always about passions and that is what we all want to see. You are a wonderful part of this blogging world, and your passions shine through. Thank u so much for your kind words & I'm glad to have met all of u!